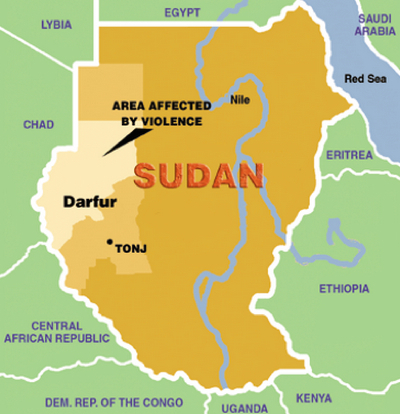 Deadly clashes have erupted again in Sudan's Darfur between two rival Arab tribes that began fighting in January over control of a gold mine. According to Reuters, the violent battles resumed Wednesday and have already caused the death of at least a dozen in an area where about 100,000 people have been displaced or severely affected by the January combats, according to a UN report released Tuesday. Tribal clashes over land, water and mineral rights are considered a major contributor to the estimated 300,000 people displaced throughout Darfur this year, with rebel-government conflicts also contributing to the displacement, which is more than in the last two years combined, said the UN. Sudan is trying to lift exports of gold and other non-petroleum products after the separation of South Sudan two years ago, which deprived the economy of nearly 75% of its crude oil production. The government aims to produce around 50 tonnes of gold this year, which could make Sudan Africa's third-largest gold miner, pushing it into the top 15 global producers.